So I’ve started to have a play around with QR Tags some time ago just for fun as it seemed they were appearing more and more in articles and magazines here, I even got one on a business card given to me. They make saving a contacts details bliss compared with entering all that text on a phone keypad or into Outlook to sync. Then came along Microsofts more colourful version called Microsoft Tag which looks much more fun and can be customised into virtually any design as long as you have the imagination and keep the basic layout of the dots it produces. These however also come with the added benefit of being able to track the stats of how many hits your tag has generated. Say you place a tag on an article or a sticker, the MS website actually logs each time its scanned giving you instant stats on each tag. 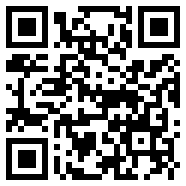 For QR Codes there are a few alternatives, on my WM6 HTC Touch HD I use QuickMark , both are free and so is the creation of tags. and now you can create MS Tags on your WM phone using LunaTagGEN from Luna Developments, from the couple I’ve tried it worked really well to create instantly distributable contact details. Here are the two basic versions, the QR Code being in black and white and the MS Tag in colour, use the software above, scan the image and you’ll get instantly sent back to this site!